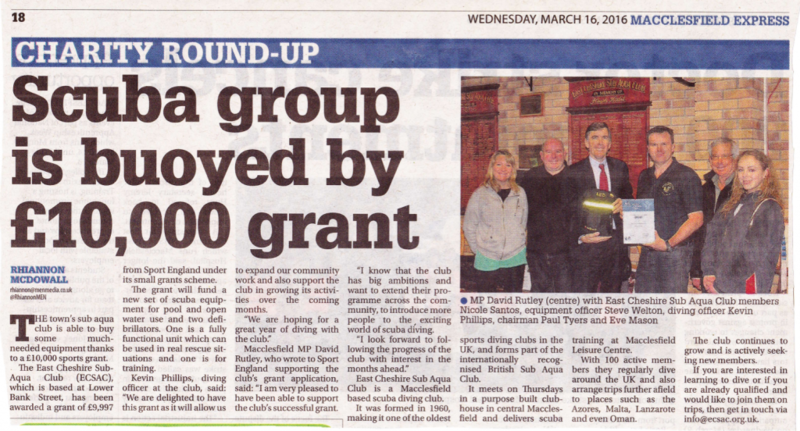 We had a huge amount of media coverage for our Highball Project, you can read some of it here. 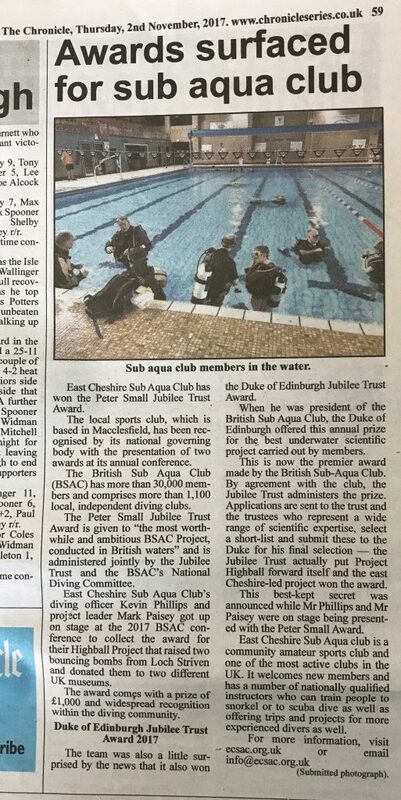 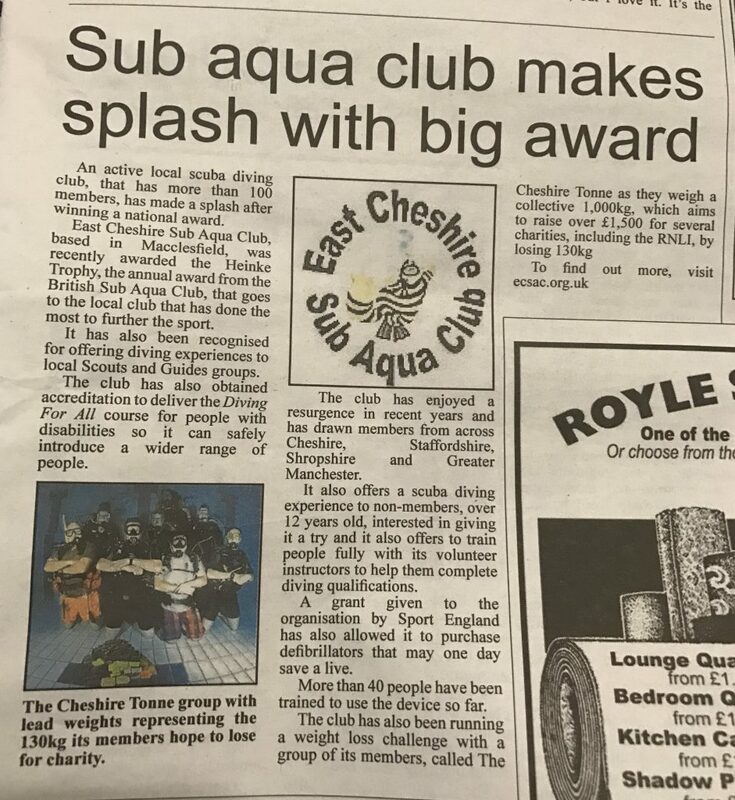 An article covering the club winning the Peter Small Award and the subsequent visit to Kensington Palace for the Duke of Edinburgh award. 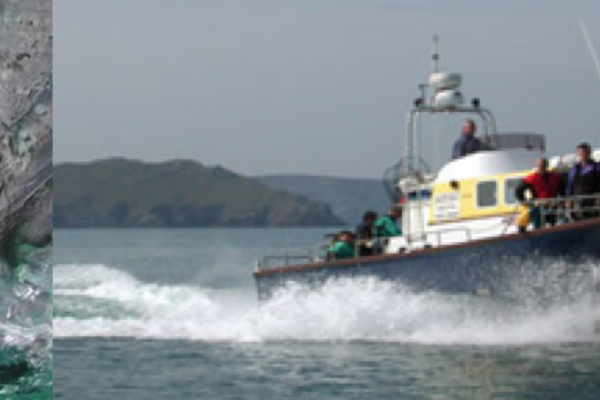 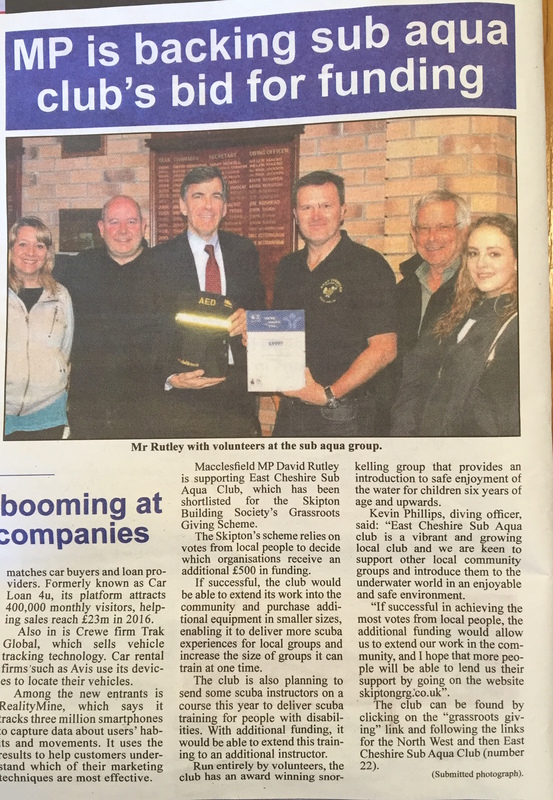 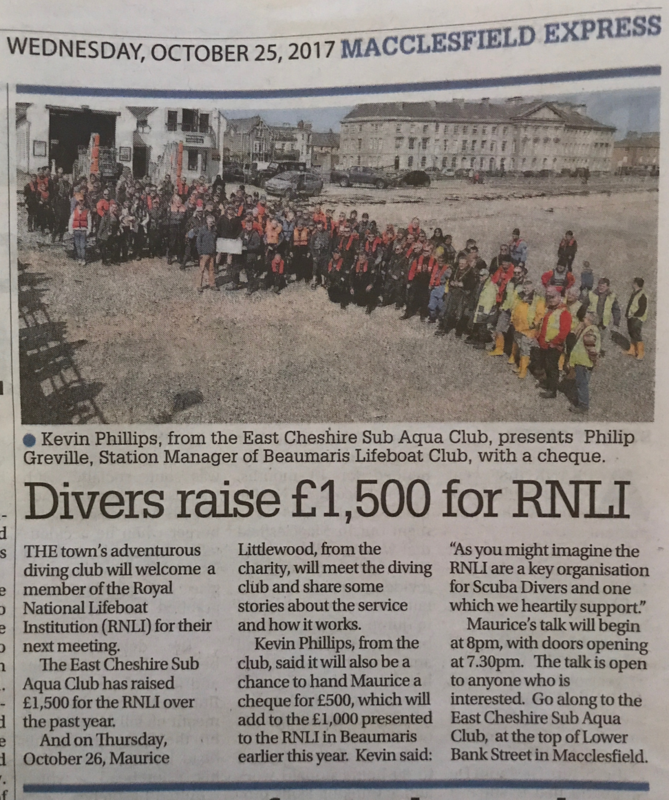 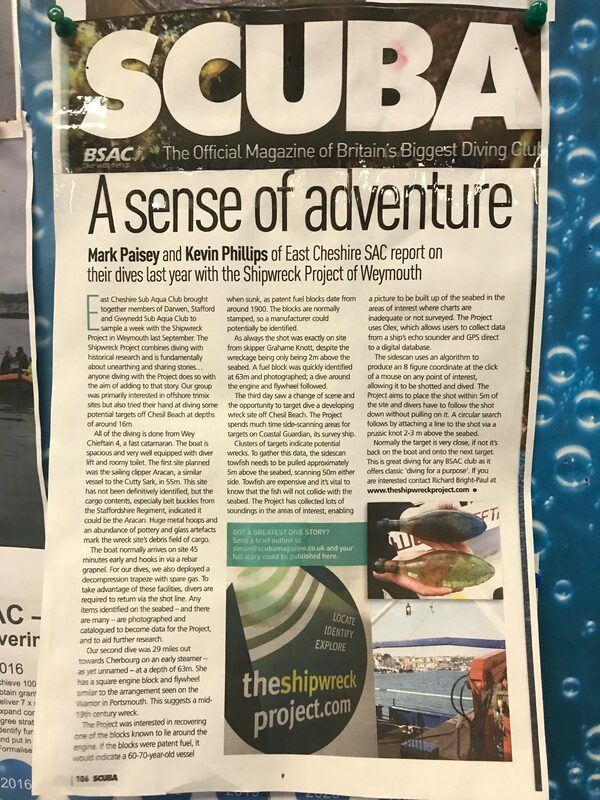 This story is about the Highball presentation evenings and features David Rutley (our local MP) and our Diving Officer along with one of the Highball Bombs that was stored briefly in our boathouse. At the end of 2016 we got in the press for our weight-loss challenge. 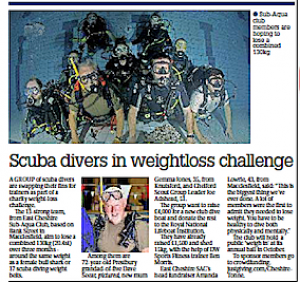 Several of our divers went on a sponsored weightloss challenge to raise money for our own Project Delta and for the RNLI. 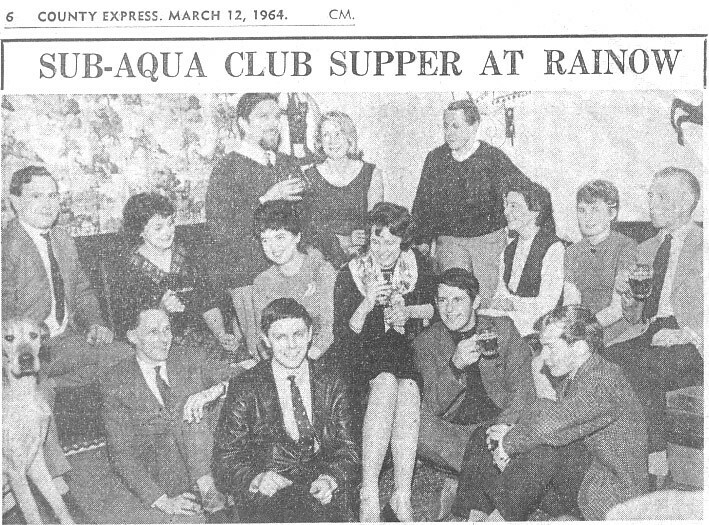 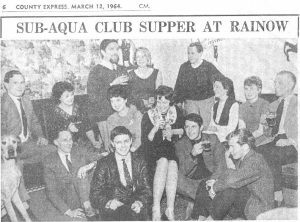 We even managed to get in the papers back in 1964!